As the heart of World Heritage-listed Wahipounamu, Fiordland National Park makes a great base for those wanting an adventure holiday packed full of wildlife-spotting expeditions, alpine climbs, and chances to enjoy New Zealand's national pastime--hiking. Over 500 km (310 mi) of hiking trails lead you through the native forest, up to the snow-capped peaks of the mountains, and along verdant valleys. Sea kayaking also ranks among the top things to do in Fiordland National Park, letting you explore the waters and get close to some of the protected animals here, including penguins, bottlenose dolphins, and seals. Formed over a period of 100,000 years, the fiords offer fantastic viewpoints and photo opportunities. 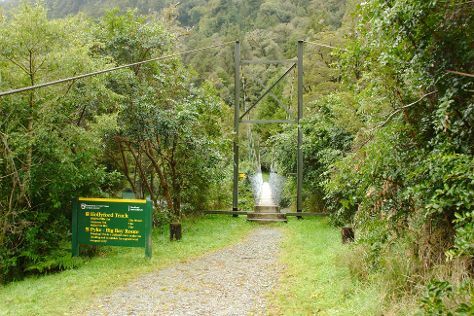 Fiordland National Park is in Southland Region. Find what you're looking for from your Fiordland National Park holiday, by planning the whole thing with us using our handy New Zealand online holiday planner .